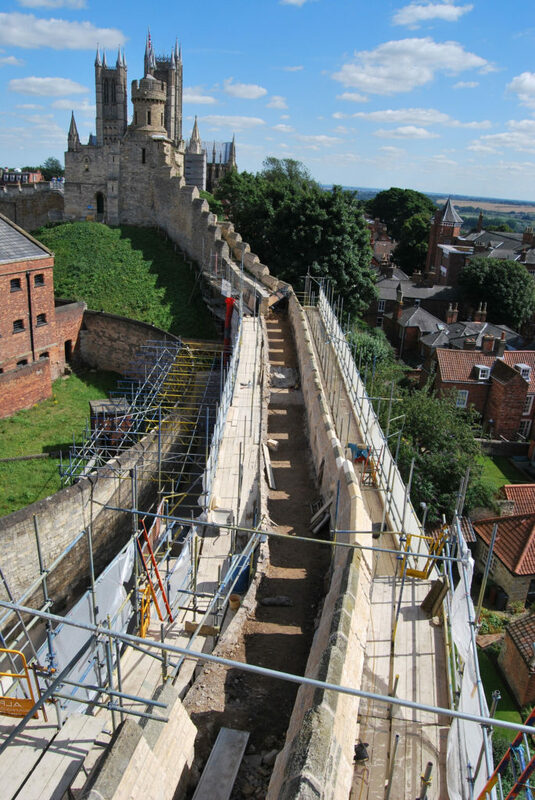 The principle objective of this project is to restore the medieval walls of Lincoln Castle to their former glory, practising a wide range of conservation techniques in order to maintain as much of the existing wall fabric as possible. 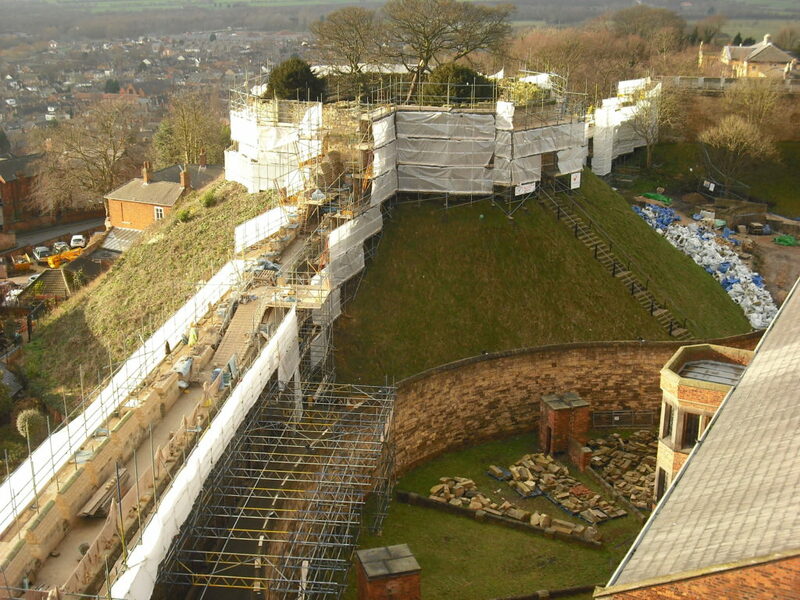 The conservation works will ultimately prevent further decay of the walls and to introduce a wall walk experience which will enable visitors to complete a 360 degree walk around the Merlons of the walls to take in the stunning panoramic views of Lincolnshire. Our main aim is to conduct the works with absolute minimal intervention whilst maintaining the highest standards of quality craftsmanship at all times. 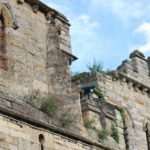 •Working on a scheduled ancient monument within the live environment of Lincoln Castle including an active court building. 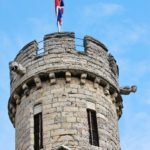 •Restricted delivery access including weight, height and delivery time restrictions into the Castle. •Working safely at heights of up to 30 meters in adverse weather conditions. 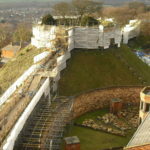 •A bespoke scaffolding solution was required to allow for banking around the walls. Sections of the scaffolding also needed to be erected in resident’s gardens. •Health and safety management is critical to the success of this contract. Key risk areas include working at height and extensive manual handling. •Producing a near perfect mortar match to seamlessly integrate new fabric with old. 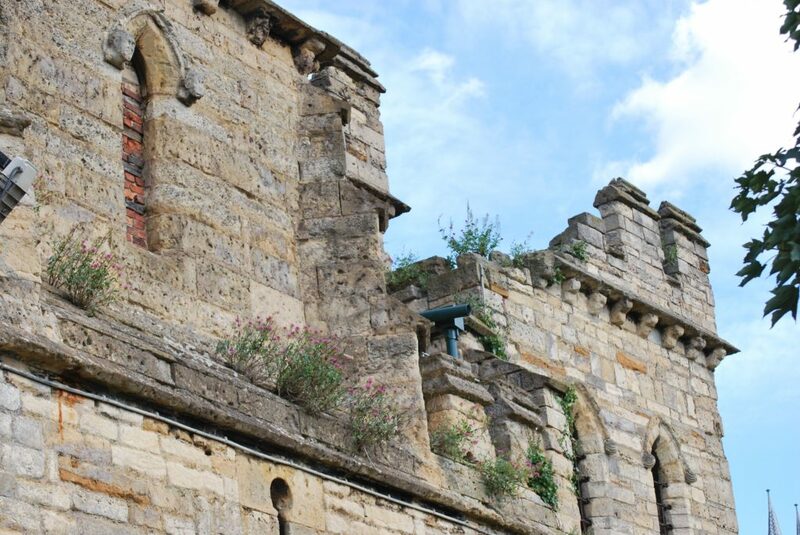 •Sections of the walls were overgrown with vegetation some of which were rooted within the wall fabric, careful excavation was required to remove the vegetation. •Maintaining an excellent visitor experience with minimum disruption to tourists and the Castles day to day operations. •Managing working on private land to conduct elements of the works including residential properties. 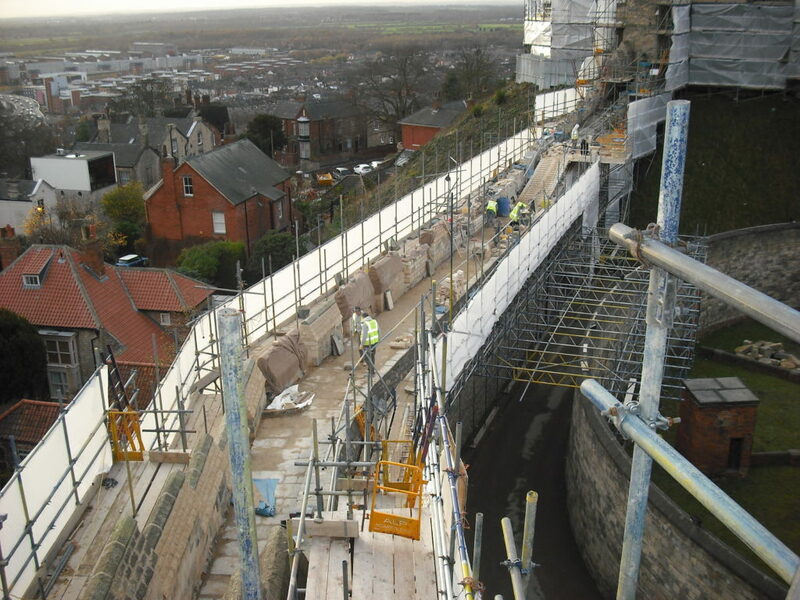 •To achieve the right mortar mix in terms of texture, appearance, colour and consistency 8 test frames were constructed by the team before approval and sand from Norton Disney only 11 miles from site was used to increase the accuracy of the match. 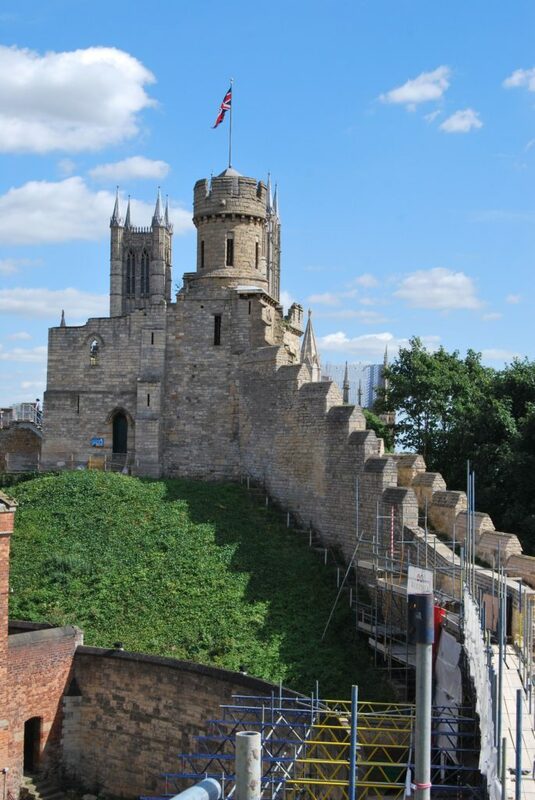 •Quality local craftsmen with a proven track record of specialist stone conservation experience were selected to conduct the work, their experience was key to problem solving, safe working and exceptional end results. •To mitigate disruption and risks to the general public all deliveries are conducted before the Castle opens at 10am. Two banksmen are also employed to manage the logistics of deliveries into the site. •To manage health and safety risks the site is audited frequently, the site manager holds regular safety tool box talks to communicate best working practices and the weather conditions are monitored in advance. A comprehensive CCTV system was installed to monitor the works and protect the public. •Daily meetings between the Castle Management Team and Site Team stimulate constructive feedback and provide an opportunity to liaise to keep public disruption to a minimum. •Weekly visits to residential neighbours to keep them informed of any disruptive activities. 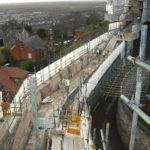 Privacy screening was installed where necessary, The residents of the 5 properties majorly affected by the works have a direct personal number to the Site Manager and privacy panelling was installed in between the Castle Merlons to protect resident’s privacy. 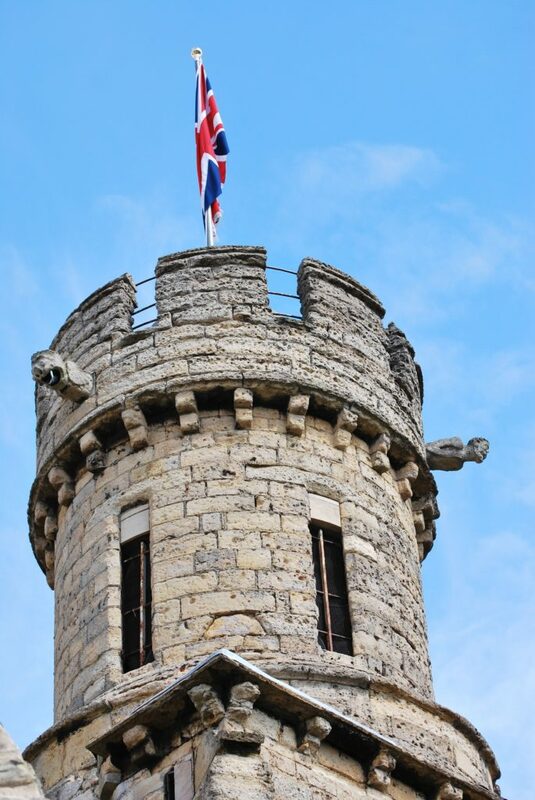 Lincoln Castle is a world famous heritage site steeped in history, and is a principle tourist attraction for Lincolnshire. We are proud to be working on this project and want to share the experience with others. Over the course of the contract we aimed to provide multiple opportunities for the community to gain an insight into the project. 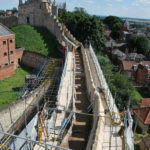 Young Architects from Lincoln University received guided tours around the walls, students from Lincoln College have participated in a skills day with the opportunity to witness work to the walls in action and have a go and experience hands on tuition of themselves at the conservation techniques used to preserve the walls.